Following over two years of development, PeopleBrowsr Inc. has released a significant upgrade to Kred. In Feb 2012, PeopleBrowsr lodged an application with the Internet Corporation for Assigned Names and Numbers (ICANN) to obtain the Top Level Domain (TLD) .Kred. PeopleBrowsr has applied its SocialOS.io technology to its Kred social media scoring metric, turning Kred into a vertical social network for Influencers - Network.Kred. To coincide with the release of .Kred, PeopleBrowsr is also announcing the acquisition of Empire Avenue, the leading social media gamification platform. Empire Avenue has undergone significant development, and has been rebranded Empire.Kred. Empire.Kred gamifies real world social activities. Players can create Real World Missions for one another, whilst investing their social wealth in a booming economy of influencers. Integrated with PeopleBrowsr’s product suite, Empire.Kred encourages users to discover new content, and find new people through social missions, while watching their Kred Score grow in real time. The Kred community of Influencers, can now have their very own .Kred Identity, engage with other influencers in the .Kred Network, and boost their social status with Empire.Kred. 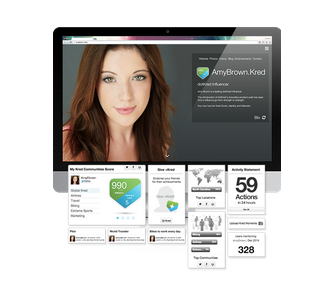 Kred Membership grants Influencers access to the Kred Network. Members are encouraged to connect their social profiles and engage with other Kred Influencers in a social environment built just for them. 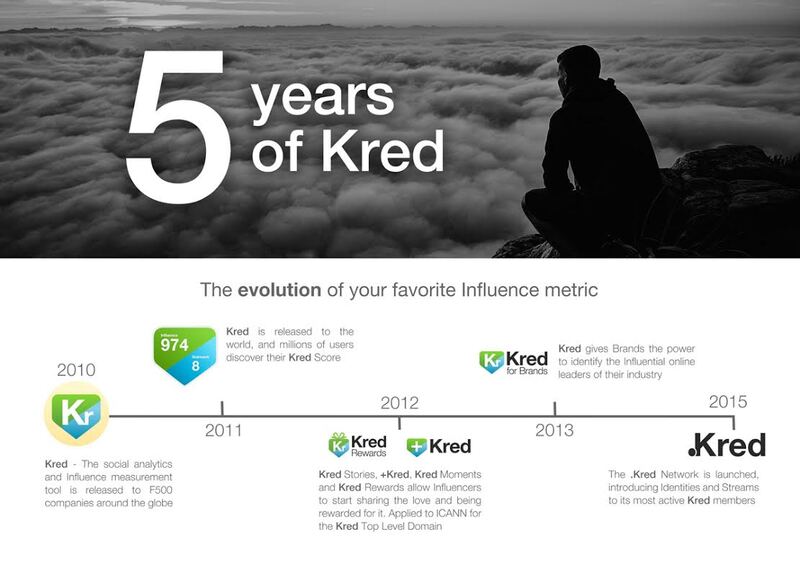 For those looking for something more tailored to their own topic of conversation, Kred Members will soon be invited to create their own KredStreams, featuring their friends, followers, connections, and favorite trending topics. Brands looking to engage key social media users can rapidly activate their own Influencer Network, enjoying premium consulting and support from the Kred team. It is uniquely positioned to capitalize on the Social Network PaaS, Social Analytics and the Top Level Domain markets.